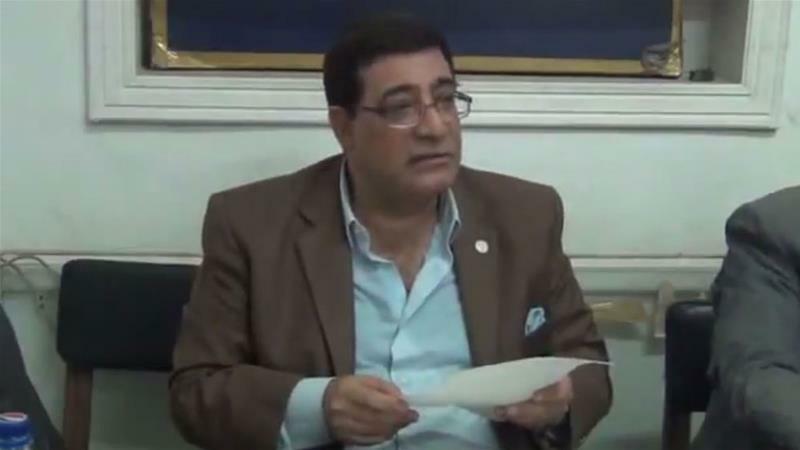 Egyptian police have arrested economist Abdel Khalik Farouk after the publication of his book in which he is critically analysing the country's economic and social crises, the author's wife and a lawyer said. Farouk's detention on Sunday came days after local media reported that copies of his book - titled, Is Egypt really a poor country? - were seized by authorities from a publisher. Farouq's wife told the Reuters news agency that three policemen who came to their home said the arrest was in connection with the book. "He was officially arrested and will be presented to the state security prosecutor tomorrow because of this book," the AFP news agency cited Gamal Eid, a lawyer, as saying.